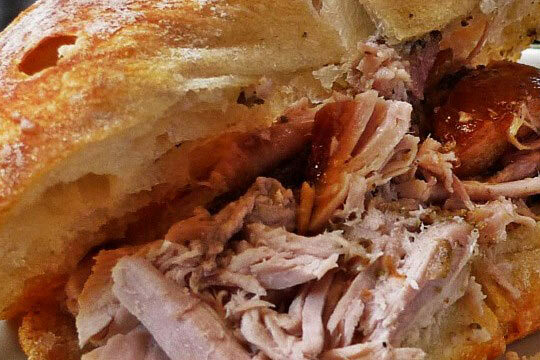 What is porchetta? It is a typical dish of Central Italy. Regions like Tuscany, Lazio and Umbria have a tradition of its produce. Is that food or fat? No – the fat is lost during the process of cooking. The porchetta, is roasted pork, first deboned then spiced with a mixture of salt, pepper, fennel, garlic and rosemary, then cooked. The meat is rolled tight around the filling, tied with twine, and roasted. As it cooks, the skin forms a crispy crust that insulates the moisture of the meat while the spices and innards become a flavorful paste within. The porchetta is a savoury, fatty, and moist boneless pork roast in Italian culinary tradition. In the “Lazio” region porchetta is roasted pork, deboned spiced with a mixture of salt, pepper, fennel, garlic and rosemary. The meat is rolled on a metallic support, and roasted. As it cooks, the skin forms a crispy crust that insulates the moisture of the meat while the spices and innards become a flavorful paste within. 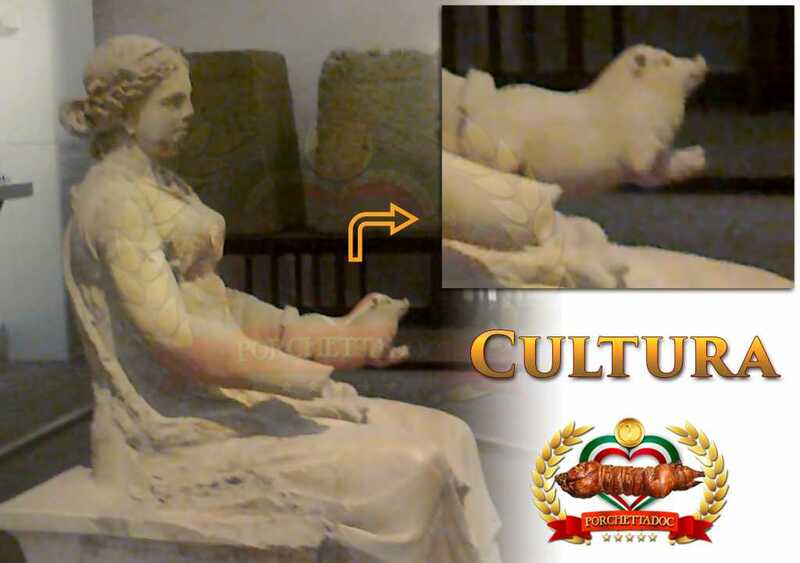 The goddess Cerere is behind the word porchetta” the fatty roasted pork typical of the cental Itay. Here a etimology of the word, wired with the ancient Latins.